Avocados seem to be EVERY where in Manhattan lately. They’re on toast, in smoothies, and you can add them to pretty much any restaurant dish (for a $2 up-charge). Everyone seems to love them!! I get that they have health benefits (healthy fat, tons of fiber, etc. ), but I just can’t seem to get on board. Avocados don’t really taste like much to me, and I’d so much rather have mayo or cheese on a sandwich than avocado. But seeing them every where sparked something in my mind. Why not bake with them?? They’re so high in fat, they can literally replace butter in recipes. This lead me down the road to throwing them into my cake batter, and eventually, making a frosting with them! I really didn’t know if the recipe would work, or what it would taste like. But half the fun of experimenting in the kitchen is just that! Trying something new, and crossing your fingers. 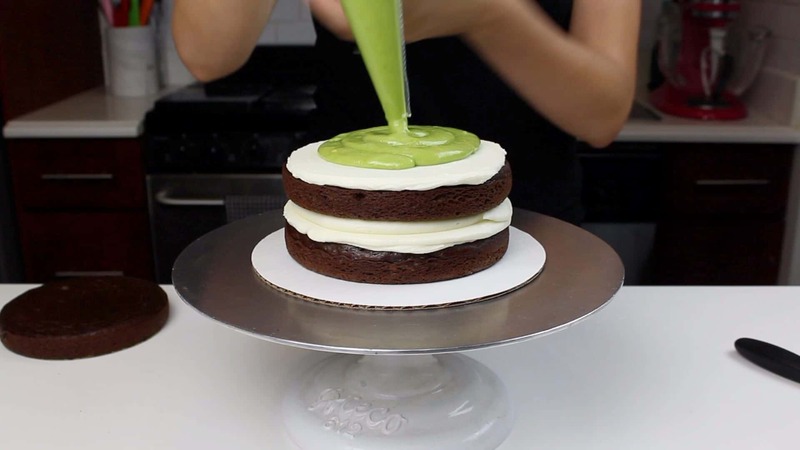 I was slightly disgusted as I added powdered sugar to the mashed up avocado, but when I finally did muster up the courage to taste the frosting, I was so pleasantly surprised. It was delicious! It had a smooth, almost elastic texture. Oddly enough, the sweetness of the powdered sugar was perfectly offset by the tang of the lemon juice, and the richness of the avocado. I know if sounds wild, but it really is amazing. At first, I thought I may be biased, and decided to bring it into my office to get my coworkers opinions. Sure enough, they raved about! The consistency of this frosting is much less sturdy than my standard buttercream. I used this to fill a cake, but you could also cover a cake in it. Just keep in mind that it’s not thick enough to add more than a thin layer around a cake. If you want to cover your cake in a thick layer of frosting, I recommend mixing this recipe with my american buttercream, using a 1:1 ratio. 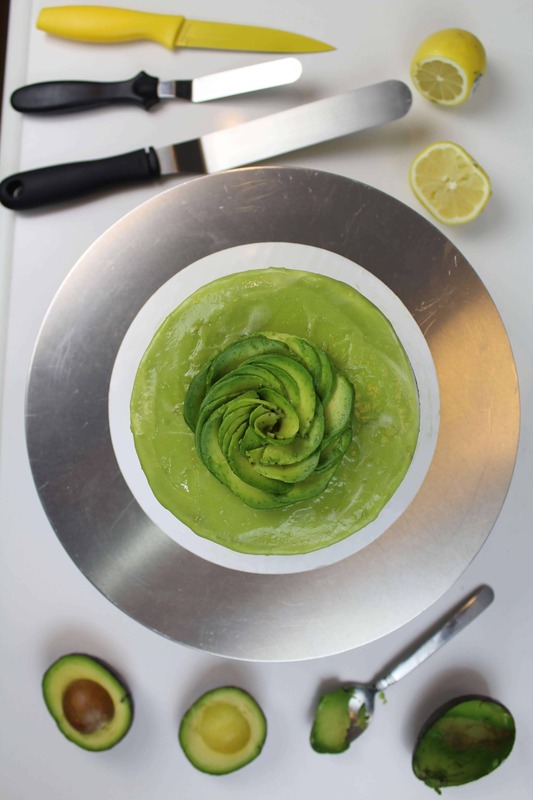 This will subdue the avocado flavor a bit, but will make it so much easier to frost with. This recipe only uses 3 ingredients, and is VEGAN! It also is delicious, and perfect for anyone who loves avocados! Slice and remove pit from avocados. Place into mixing bowl, and beat on a low speed using the whisk attachment until relatively smooth. Mix in lemon juice. This will prevent the avocados from browning. Gradually mix in the powdered sugar, one cup at a time. Scrap down the sides of the bowl after each addition, to ensure the ingredients are fully incorporated. This frosting can be made in advance, and stored in the fridge for up to 3 days.